To create an outstanding customer experience, many firms want to use new high-tech tools. Thus, some now experiment with artificial intelligence. And others track shoppers online and in stores. Still other firms market voice-activated digital assistants and employ online chatbots. In addition, virtual reality is gaining popularity. 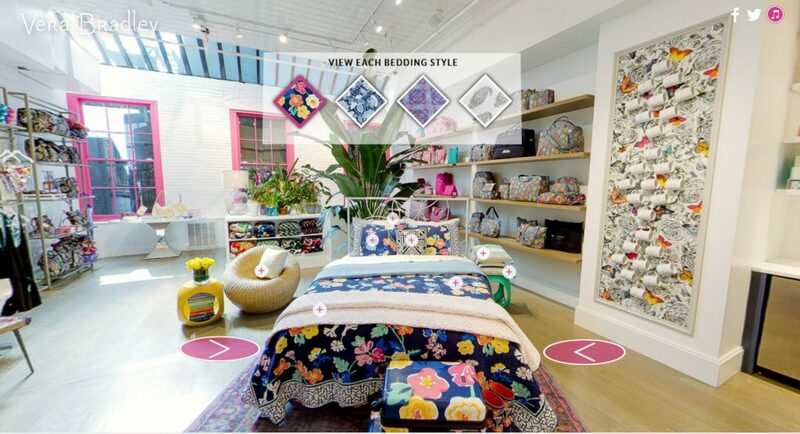 In this instance, we can learn a lot about Virtual Reality Comes to Life at Vera Bradley Stores. Before we turn to the Vera Bradley example, let’s explain the premise of virtual reality (VR). Please note: VR is a great tool to enhance the customer experience, both online and in the store. Vera Bradley designs and retails women’s handbags, luggage and travel items, fashion and home accessories, and gift items. As a multichannel retailer, it runs its own stores and a full-feature Web business. In addition, it sells through third-party retailers. If you visit the VR site, this popup appears. [Note: This site is for demonstration purposes. 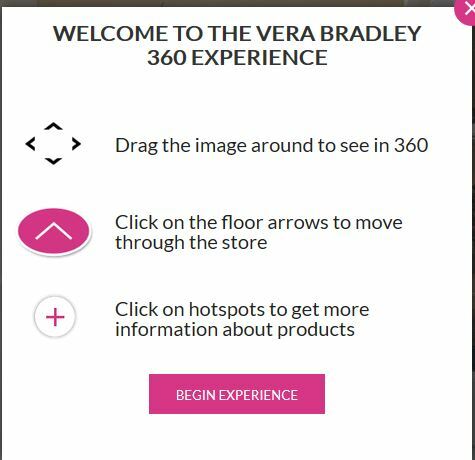 The actual Vera Bradley AR experience only works in stores.] Click the popup to access the site. Once at the site, scroll to the + signs. This entry was posted in Part 2: Ownership, Strategy Mix, Online, Nontraditional, Part 3: Targeting Customers and Gathering Information, Part 5: Managing a Retail Business, Part 7: Communicating with the Customer, Technology in Retailing and tagged customer expectations, customer experience, experiential retailing, Vera Bradley, virtual reality. Bookmark the permalink.